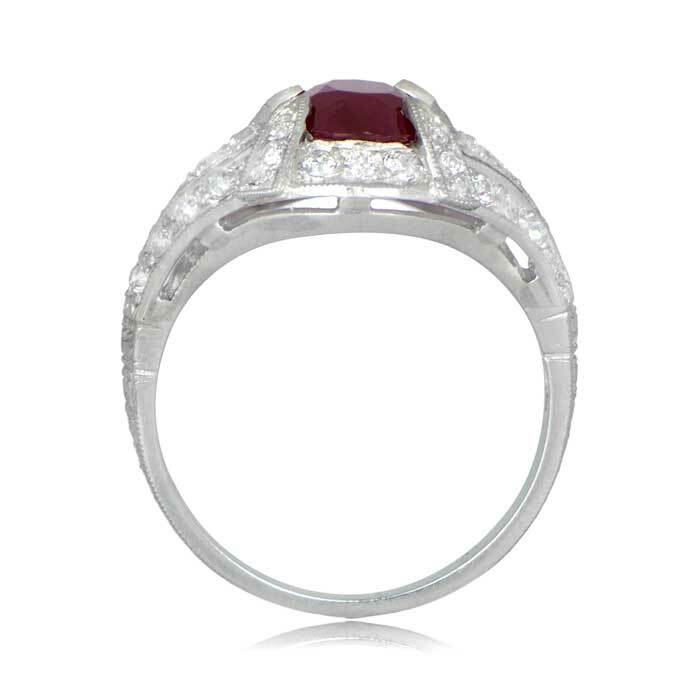 A gorgeous cushion cut ruby set in a handcrafted platinum mounting, and adorned with diamonds. 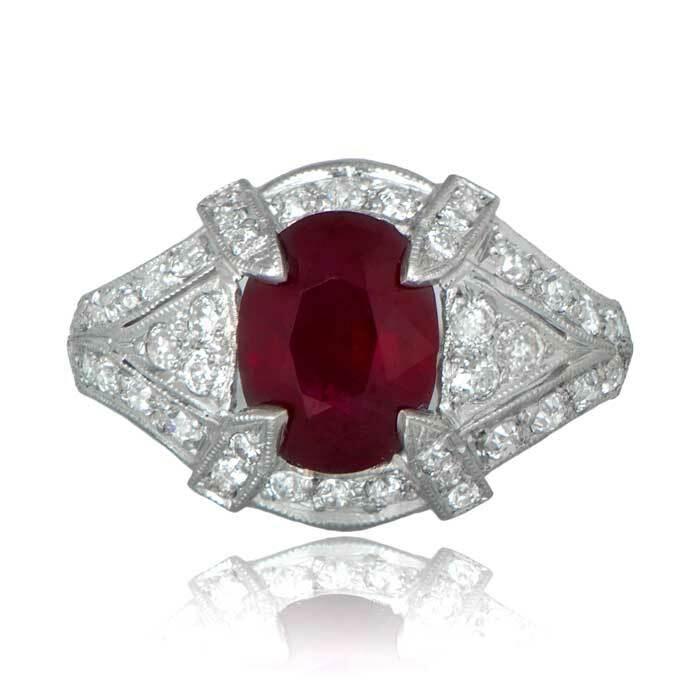 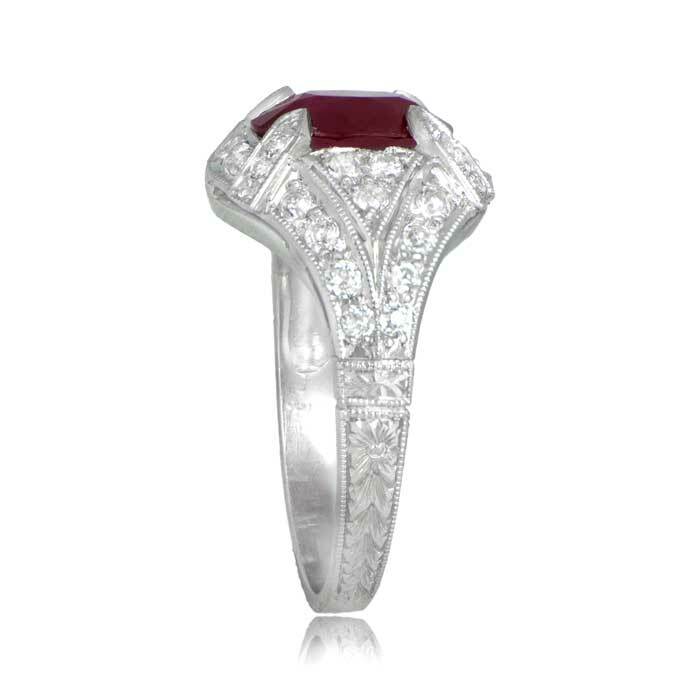 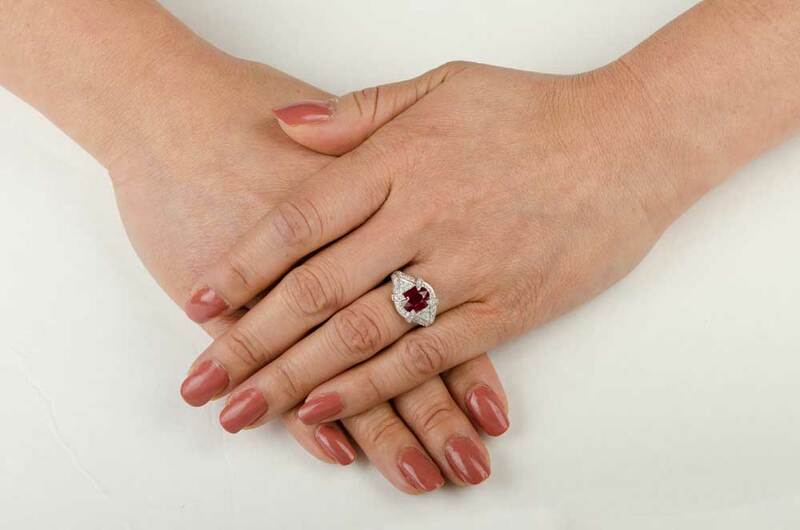 The ruby is held in place with diamond studded prongs and accented by diamonds on both sides. 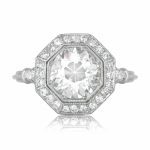 Fine engravings and milgrain add to the delicacy of this stunning ring. 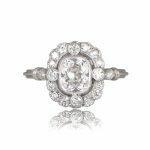 SKU: 11361 Categories: Cushion Cut Engagement Rings, Ruby Engagement Rings, Vintage Engagement Rings - Contact us and request additional pictures.